Owners, Ron and Patty Benson, have been the owners/administrators for ten years. They have extensive business experience and enjoy living and working in Apple Valley . They believe that a quality program will help parents with the responsibility of teaching a child in every area of life skills. 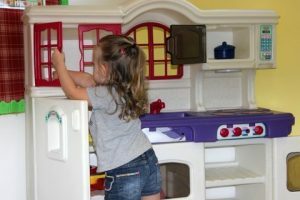 Their goal is to make Apple Valley Child Care Center a place where you can be confident that your child’s needs are being met by a caring and qualified staff. A place your child will love to call “My School”. Director,Sherry Jenkins, has been with our school since 1997. She is truly dedicated to seeing that your child is provided with a quality education in a safe and comfortable environment. She has worked in this field for 27 years. She is Our go-to lady if we have questions, concerns or ideas and we know she will be there to answer your questions as well. 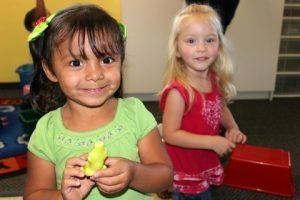 Our Teachers are educated, compassionate and dedicated individuals who meet or exceed the requirements and are licensed by the State of California to teach pre school. They have been fingerprinted and had criminal and background checks. All have been CPR and First Aid certified. They are here because of their love of teaching young children. We believe in our program, staff and school, but our goal is to make sure your child leaves us believing in himself or herself.